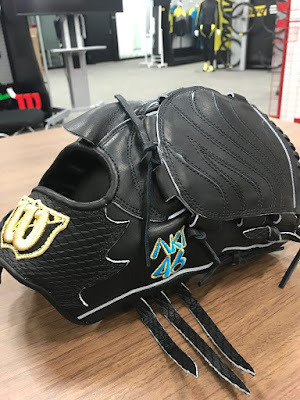 Baseball Equipment online shop "Swallow Sports staff Blog": Tigers Akiyama pitcher favorite Wilson's glove! Hanshin Tigers' Akiyama pitcher is using Wilson's glove from this season. 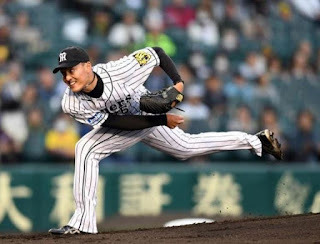 He has marked 3 wins already this season and is not it the driving force behind the leader Hanshin? ※ Grabs of the same specification can not be created. Wilson's glove is really sticking out, so it's growing in popularity.